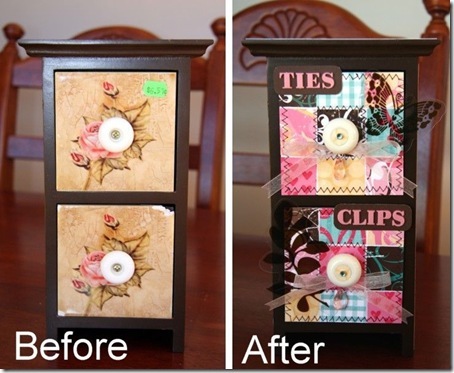 Chris found this damaged set of draws at her local store, picked them up for a bargain and transformed them into a pretty storage unit for her daughters hair ties and clips. Chris wanted to seal the Carefree range of papers she used on this project so she applied a thin layer of ribbon stiff over the top of the paper squares. Once it was dry she added the machine stitching for effect. 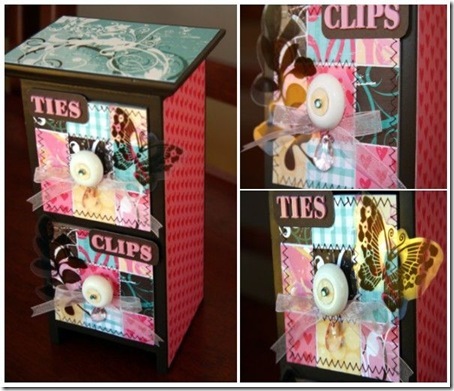 Chris used ribbon to tie the gorgeous little Chandelier Crystals to her project. The clear embellishments were simply attached using a clear glue. 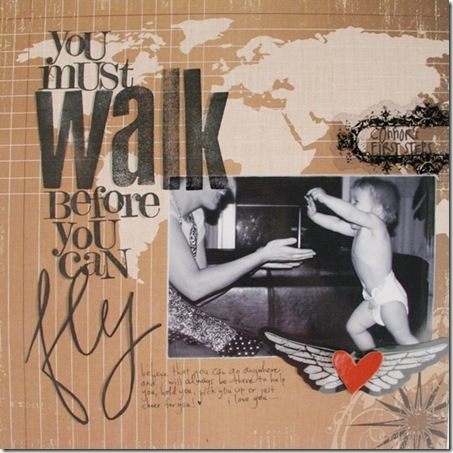 Combining both the Runway and Carefree ranges Chris has created this stunning piece of wall art! Chris created the entire project onto a piece of the double sided paper, she used machine stitching to secure the Dots overlay onto her project and once it was all complete she then adhered it to a canvas. A few sequins from her own stash completed the project. Again, Chris used both Runway and Carefree ranges to construct this card. They compliment each other so well and the cupcake from the Color Me Luxe range was the perfect embellishment for the card. 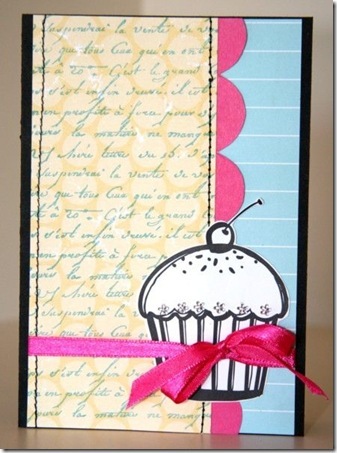 Chris also stamped the background paper with the Hero Arts Old French Writing stamp using the Cyan Versa Color ink. 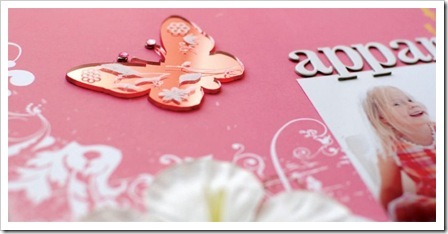 Attach some tiny clear jewels, a piece of ribbon and the card was complete! Carefree is undoubtedly Suz Doyle's favourite from the Heidi Swapp ranges, and here she shows how easily it all fits together. The Rounded Florals, the Mirrored Butterflies and Gem Brads have all also become firm favourites in Suz's stash - wonderful ways to 'perk' up any layout. Here Suz tried her hand at the World Traveller range, and where she found the background paper not quite colourful enough for her she inked the white flourishes in each corner with a rainbow of pinks, blues and yellows. Jenni Bowlin Tickets, a touch of Tim Holtz Grungeboard and some of Heidi's beautiful Chandelier Crystals finishes off this layout beautifully. Finally you may recognise this layout from the Issue 68 of For Keeps Creative Paper where Suz has an article featuring these gorgeous Heidi Swapp products. Yes more of those mirrored butterflies and the clever scalloped edge of the Runway patterned paper finish off this cute layout about her daughters' barbie dolls. 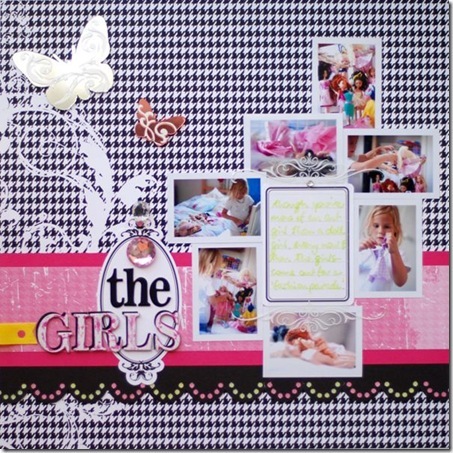 Check out this stylish layout by Ros Madley. 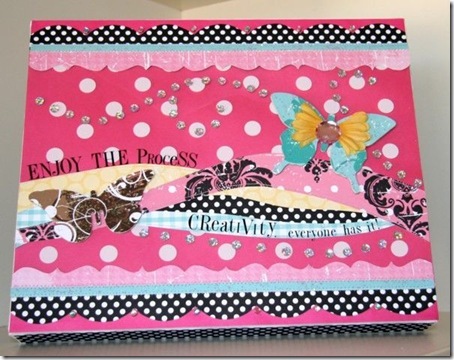 Ros has layered and paper pieced Heidi Swapp's Runway range to create this very smart layout! 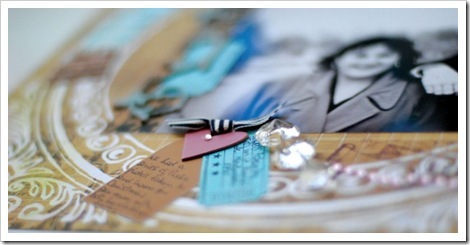 Thanks goes out to Ros for sharing her lovely work with us on the blog. 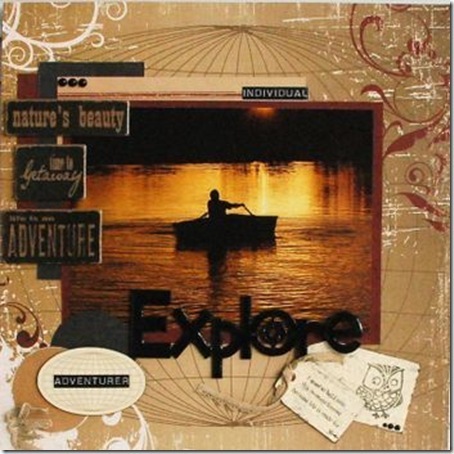 The World Traveller range showcases this stunning photo with simplicity and subtlety. Thanks to Julie Hayward for sharing this wonderful piece of inspiration. 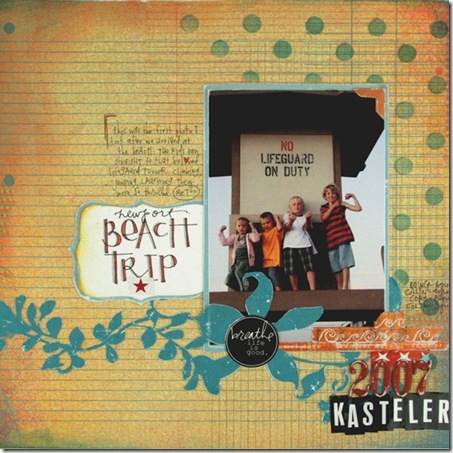 Now who better to showcase Heidi Swapp products than Heidi herself, and we happily received her permission to showcase some of her recent layouts on our blog. Here she shows that World Traveller patterned papers surely aren't just for travel photographs, recording her youngest son's first steps on some here. 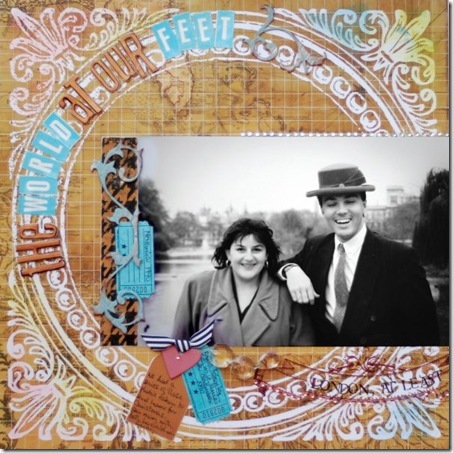 We love that she's pulled out the foam stamps for this layout as well - remember them?! On this layout Heidi has used the brown butterfly overlay and gold metallic rub-ons on patterned paper from the beautiful Carefree range as well as some of her fabulous Glossy Extra' from both the World Traveller and the Carefree lines. The photo is just gorgeous. 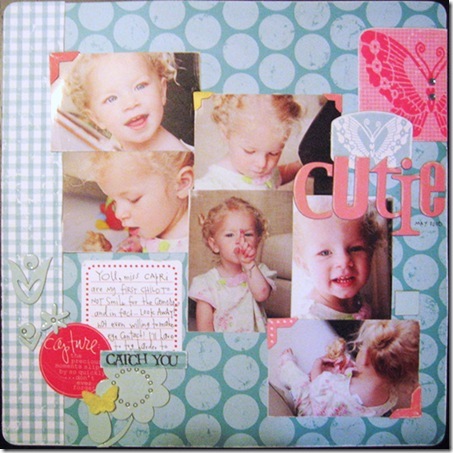 Lots more product from the Carefree range on this layout suit these sweet photos of Capri just perfectly. Heidi says right now she's loving combining her products with BasicGrey's Recess line. On this layout she confessed she handcut the vine one of her Carefree range of papers to embellish BasicGrey background paper. She also used the very cute Dots mask in the corner to add extra interest and another 'oldie' but goodie, the orange Summer decorative tape is the perfect finishing touch. Finally, another stunning, warm combination of BasicGrey Recess and Heidi Swapp - more of the Dots mask, alongside crimson chipboard alphas and shapes make a beautiful colour combination. 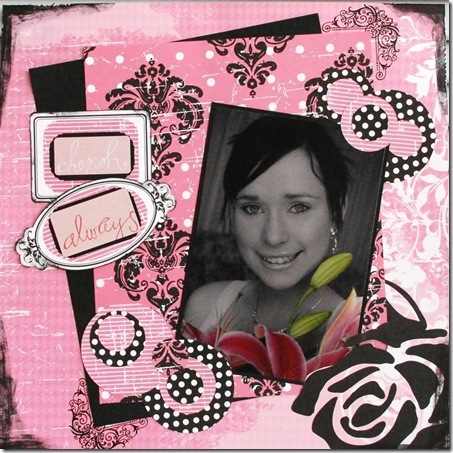 Here she has also used a Fontwerks stamp for the bracket shaped frame. We also love how she has just repeated smaller copies of a photo she obviously rightly adores.